When I turned 25 a few weeks ago, it felt a little traumatic. It seems like the world doesn’t know what to do with its twenty-somethings anymore. This is a guest post. This is Fraylie: Fraylie prefers cupcakes to cake. She is a writer and photographer living in Northampton, Massachusetts, though she hails from the motherland of New Jersey. You should check out her work at www.fraylienord.com. Last week I frighten myself when, after watching Woody Allen’s “Interiors,” I notice that the psychologically unhinged, disparagingly angry mother, Eve, seems a lot like me. We have the same lines under our eyes. When we consider our failures, we stare at walls with mouths like open bags and say “hello.” Sometimes we cry because crying fills space. I watch the screen, forming her lines as if they were my own. “Oh, I can’t… I can’t breathe!” we gasp. Eve and I are overly dramatic and know it. And the lines under my eyes are mostly the fault of my ill-fitting glasses, but I start to believe it makes me seem “sleepily dignified.” And sometimes, it’s amusing to hyperbolize. I am a twenty-two year old college graduate and, more recently, a waitress. I serve salmon with balls of sticky brown rice and fried tofu. A year ago, I would have been interested in an ethnographic investigation of camaraderie and friendship among women in restaurants. I would have asked questions like, “How does serving food engender a sense of identity?” Or maybe, “Can you describe the personal language of waitresses in this restaurant?” At this point, I invest more time in memorizing the intricacies of phantom allergies than I do acting “discursive” whilst peering over steamed cod. “Glutard” is a more common kitchen offensive than the catchphrase “commoditization in the age of millennial capitalism.” So maybe we do have a lingo. But I need to pay rent so that I can keep serving fish, and so on. I imagine my past self consumed in the attempt to understand my present incarnation. There she is, my prime candidate! I’ve found a tragic young woman who makes no sense! What are her passions? How, in a reflexive way, can I relearn myself adjacent to her? She indulges in what I would call a “postmodern fragmented identity!” How romantic! It’s clear that I’m still thinking about the mice. These days, the mice are disappointed, or probably deceased. So in a schizophrenic fashion, I murmur these first person autobiographies to myself in hopes of feeling progressive and reflexive. I sometimes have to double check that I am not speaking these thoughts aloud, and the man in bed is not out the door for a sudden cigarette. At that time, it was very easy to put faith into the reflexive role of “work.” I had a very convenient title: Fraylie Nord, Division Three student studying critical social theory and photography. Now, when the dreaded question, “so what DO you do?” arises, all I can think to say is, “I’m a waitress.” However, what I really want to say is, “not all that much,” but I don’t want too sound grim. It’s another one of those upper middle class white person problems. But just because it’s so easily stereotyped, written up in The New York Times and all over Thought Catalog, doesn’t mean it’s not worth talking about. The problem with my generation is that we are hellbent on defining ourselves within a society that puts great emphasis on success but cannot provide the political or economic context for a stable career path. It’s a belabored but relevant argument. I think here is a good place to mention that, despite my inherent trepidations in the real world, I am thankful for a job when many can’t find a job at all, and I am thankful for the social and economic freedom to worry only about myself. Arguably, I am lucky. Perhaps the liberal arts educated dilettante is destined for the service industry, at least for a little while. If work is not a defining cornerstone in the lives of twenty-somethings, it is a venue to be economically sustainable in other pursuits of happiness and investigation. Of course, in a literal sense, work is enriching insofar as it pays (unless work is one of those funny things called an internship or unpaid entry level job.) But where I once ascribed so much importance to the identity building blocks of routine and labor, I now see the fantastic naiveté and romanticism embedded in my shallow thoughts. So what’s the point? I’m convinced that most of my educated friends in the service industry are just varying degrees of unhappy. But it’s putting faith into everything else – everything else that our parents said was unstable – that makes it worth it. The aloof nature of every day life, freelancing gigs, one-night stands and, to borrow again from Woody Allen, (local and organic) red meat. In the face of an unstable economy where what was once bedrock has become jellyfish, we can turn to that which originally seemed temporary and make it meaningful. And we’ll work it out, maybe, by the time we hit thirty. Fraylie’s Un-roast: Today I am happy that I stopped being indecisive, and I accepted an offer to enroll in a master’s program at the New School For Social Research. There is hope for the future! Fraylie! I identified with this, mainly because I’m just beginning college and am afraid of what’s going to happen with that. What DOES a girl with a liberal arts degree do while being thousands of dollars in debt? I expect that I will have to work in the service industry for a while to get by, and I hope that I will be okay with that, as long as I still set sight on what I want to do for a long-term career. P.S. I am in Northampton!! As soon as I saw that I got super excited!! Thank you for this, I really needed this right now. In always wondering “Where I am going” and “If I will get a good job”…I have found a certain peace in knowing that I am not alone with these thoughts and have found myself feeling lucky that I indeed do have a job in these unsteady times. I really appreciate this post. This was brilliant. Next year is my senior year of college, and I’ve already gotten to the point where I’m like, does it all really matter? 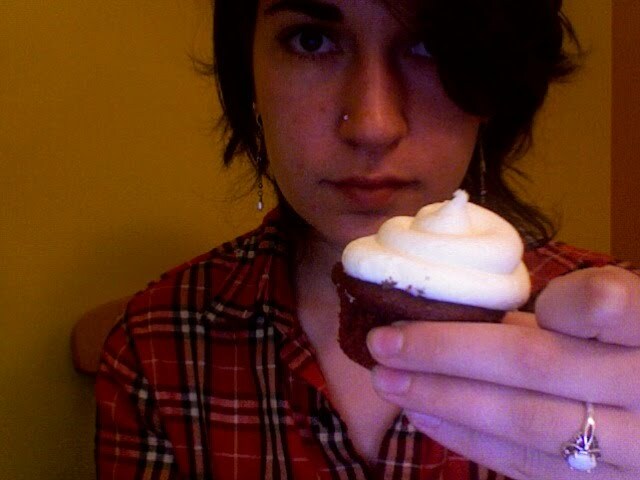 Since I was young I wanted to do big important things and now I’m like….ehhh, I want to open a bakery. And then I think, well I don’t need that last year of college, but it’s the principle of the thing, right? Anyway. I loved everything you said and be sure to serve up a side of those wonderful writing skills with the sticky rice balls…not sure how. Maybe a short piece on the back of the receipt? Seriously, your writing is worth sharing! I really appreciate this post as well. YES! I’m just lucky I stumbled upon a fun part-time job while I was in school, and was able to stay there after. So I’m not unhappy, but confused and disillusioned. I was certain there would be thousands of job opportunities the second I had my piece of paper saying “I did it. I went to school.” But no. NOTHING. AT. ALL. So I stay at my fun job until I can find something special that I can use my brain in. i like how you craft words throughout this brilliant story. I’m in my final year, and yes, I do wonder, where will all these take me? what will I be 10 years to come? it’s kinda hard to live each day as it is without worrying about the future, but so be it. I guess I kind of knew through school that it was going to be tough at the end, but not this tough. WRONG. It seems 7 years of working in a restaurant count for nothing in this city. I’ve been scraping by on my lifetime savings & catering jobs, but I don’t really know what I’m going to do a few months from now if things continue like this. So, yes. You may not be using those skills that you thought were going to be worthwhile. And I am sorry that you’re unhappy, don’t think I’m belittling you for a moment. But you’re right: We keep going on the blind faith that we can make meaning out of the temporary. Because facing the music would probably make us cry. You’re quite an articulate writer… Why don’t you have a blog of your own?